Dead Rising 2, Capcom's cooperative zombie thrashing sandbox game, is available as a free download for Xbox Live Gold members. Players will take the role of Chuck Greene and, well, another Chuck Greene as they battle battle through scores of zombies in the overrun casino complex of Fortune City. That's not all. Dead Rising: Case Zero, is also available for free. This single player prequel to the events in Fortune City lays out some back story for Chuck and his sick daughter, Katey. Obviously, I recommend playing through this short game first. It will introduce you to the new weapon crafting system, which is one of the highlights of the game. By the time you reach Fortune City you'll be making everything from a simple nail bat to a laser sword to a weaponized wheelchair sporting machine guns. Then there's always the paddlesaw, a dual-bladed kayak paddle with a chain saw duct-taped to each end. Science! If you haven't played a Dead Rising game now's your chance to try them for free. The main plot is cheesy as hell, but entertaining. The real focus of the gameplay is dispatching throngs of zombies using a wide variety of improvised weapons in entertaining ways. Rescue survivors and discover what happened to cause the outbreak, or don't. Stroll up and down the main promenade killing zombies if you want. It's free. 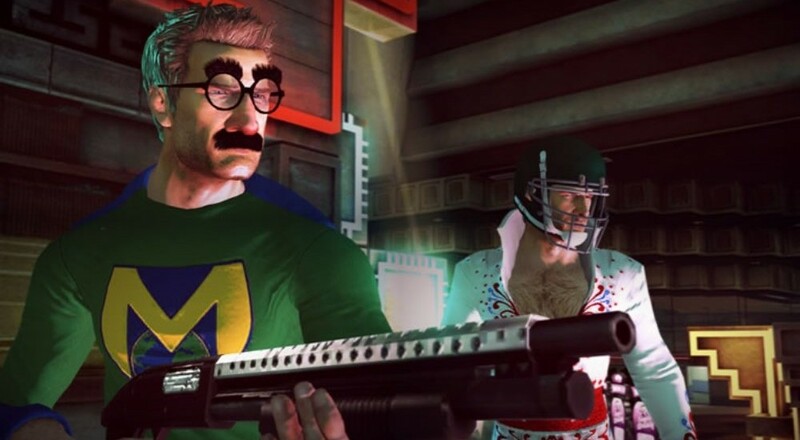 Dead Rising 2 supports two player online co-op. For more information check out our Co-Op Review. This sale will last until August 31st. Will Dead Rising 2's Case Zero Help Sell The Full Title?